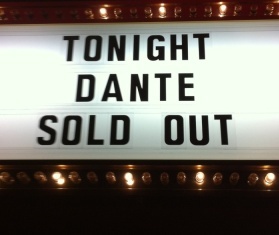 Book Dante for your next event! I have a huge fan base. I perform to all types of audiences. I can go clean or dirty. I do many Corporate, cruise, college, club and one night gigs. I pride myself on being able to perform an audience made up of any group, all Black, Hispanic, White, Gay, Old, Young and so on. I have sold out almost every show (Paid ticketed shows and freebie ticket shows) this year and I get standing ovations at 90% of all of my shows. I push drink sales heavily from the stage, so they are much higher when I am in a club and I also heavily promote! I try to add at least 1000 Myspace friends to every town I go to every time I am booked there and I blast them over and over with info on the shows. I also post multiple bulletins on the net like Craigslist, Twitter, Facebook and more announcing my shows. Then when I get to town I go out every day and heavily promote on the streets. Name one other headliner that does half of that. Call my references to check these facts, I have many listed below! Here is the deal, bring me in at the rate you pay headliners, if while I'm there, I sell out shows, Get standing O's and your drink sales go way up, then book me back for higher pay. If none of that happens, never book me again. I am a pro. In 25 year I have never missed a show not for illness, the death of my brother or anything. I show up early and leave late. I am honest and reliable. I have never had trouble with any club or booker ever. I respect the club, employees, bookers and lodging. During my club shows, I do a 10 min. bit on performing for the troops. I ask the audience to raise their hands and order a shot to do with me at the end of the bit. The waitresses find all the people with their hands up. I sell an extra 10-200 shots per show. This makes drink sales go way up. Especially as the headliner because by the time I hit the stage everyone has already had their 2 drink min. Ex: Recently at the Loony Bin in Oklahoma City I did 7 shows and did this shot trick. They sold about 300 or more extra drinks. On Fridays first show the bar ran out of all glasses. If shots are a minimum of $5 each then the club made a minimum of an extra $1,500 because of me. That is an average pay of a headliner in many comedy clubs. I do this to make money for the club, but I also do it expecting to get a faster rebooking and higher pay on my return. I have a huge loyal fan base. I have been listed on many comedy websites as one of the top 20 comedians in the country. Almost every patron that comes up to me after the show says "You are the best comedian I have ever seen in my life". Dante, Rebekah Kochan and Ron Jeremy are also available as a tour called Ron Jeremy's XL Comedy Tour. I am looking for headliner spots, I also love when I can bring my own opener, it is my girlfriend. Most famous white comic on BET in the 90's. Starred on COMIC VIEW on BET for a decade. Star of the top rated sitcom on BET for 2 years called The Blackberry Inn. I have performed stand up on over 40 TV shows.